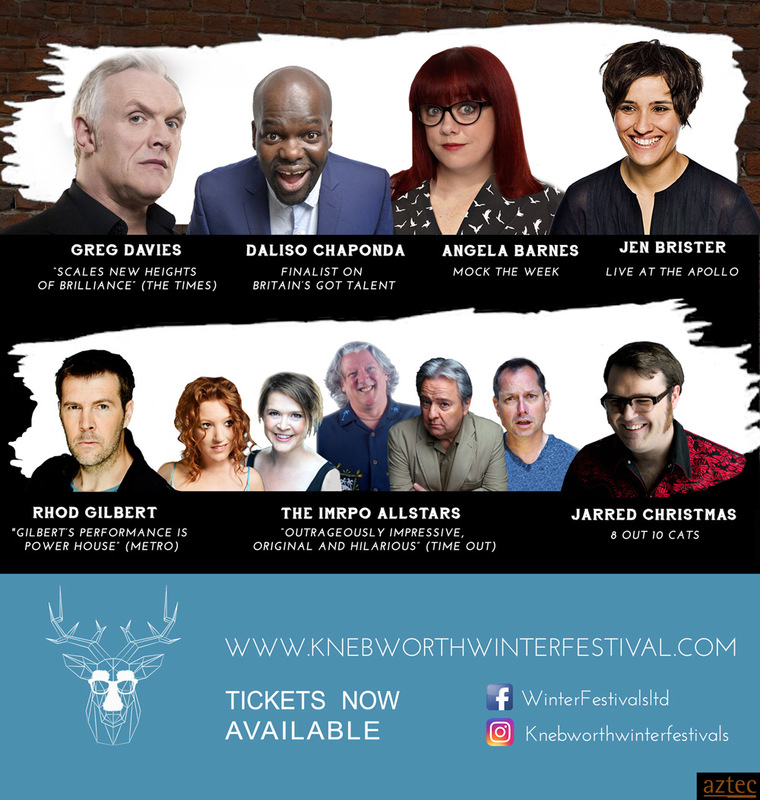 This November, Knebworth Winter Comedy Festival will descend upon Knebworth House, held in the magical grounds of this resplendent English stately home and featuring some of the biggest and brightest stars of UK Comedy, including Greg Davies and Rhod Gilbert. Your comedy ticket will allow you access to the winter festival from 3pm where you can browse the Christmas shopping emporium, sample epicurean street food delights in the food village, which will also be home to the beautiful Apres Ski Lodge where you can enjoy seasonal cocktails, spiced mulled wine, artisan ciders and local craft beers in the sumptuous surroundings of faux fur rugs and open log fires providing the perfect spot to get merry prior to having a good laugh with us! © TicketCo UK Limited 2019. Legal terms for ticket buyers Legal terms for organizers.